I might not be a pro golfer, but I have been playing this wonderful sport for close to two decades now. Regardless of the fact that none of my buddies are pro's we still compete against each other and nothings feels better that coming out the victor in a golfing weekend. It is the need to outshine my buddies that led me to the discovery of the Zepp Golf 3D Swing Analyzer. When I first saw this device I was quite skeptical and wondered how such a small thing would have any effect on my game. However, this little device gave me more information about my swing than I had expected, and it also helped me know what I needed to do to improve my game. To cut the long story short five weeks after I started using the Zepp analyzer, I was the star among my buddies with a swing that could easily pass for a pro. It comes in a swing-friendly design that will ensure that it never gets in your way. In fact, you would hardly ever notice it is there. Besides from golf, it can be used in other sports like baseball, tennis and softball. The results are easy to interpret and understand as it comes with a color coded dashboard. It allows you to compare your swings with pro golfers so that you can just how good you are. It does not come with an instructional manual and so you might be forced to go online for more information. The video feature might be very difficult to use if you are golfing alone. What is Zepp Golf swing analyzer and what are its specifications? 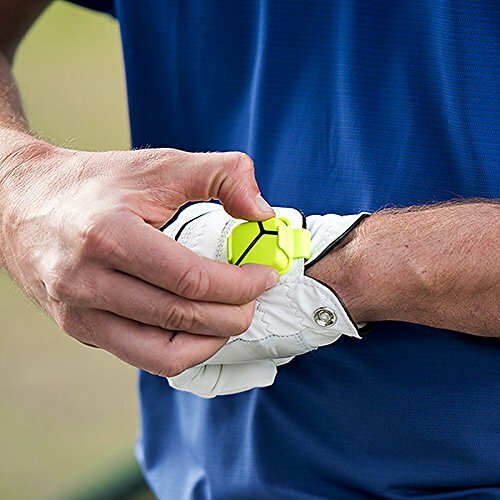 The Zepp is a small wearable device that is clipped on the top part of your golf glove, and it tracks all the essential components of your swing. The Zepp tracks components such as hip rotation, swing plane, tempo, and club speed and backswing position. It does all this with the help of an app on your smartphone or tablet, and it is a must have for any golfer who wants some pointers on how to improve their game. The Zepp measures 6 inches in height, 6 inches in width and 1.63 inches in depth. This device is green and comes with a one-year parts and labor warranty. 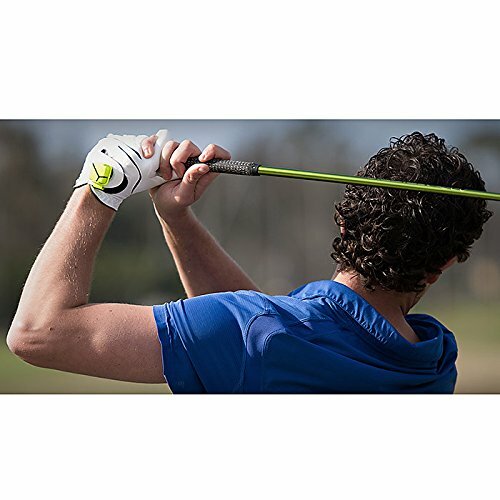 How to use Zepp Golf swing analyzer ? 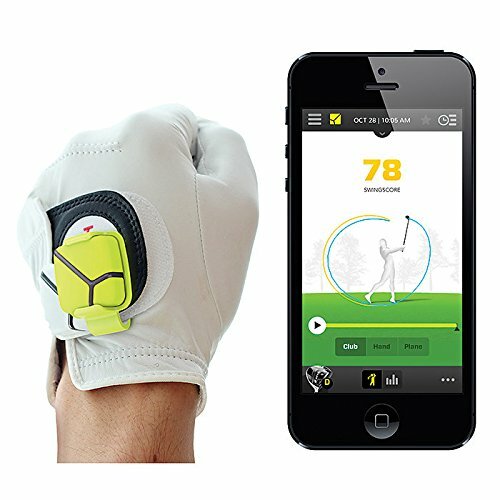 Zepp golf swing analyzer has been designed to be extremely easy to use even for those with little knowledge about golf wearables. To use this device, you will first need to download the free Zepp app on your Smartphone or tablet. Next you will need to attach the device to your golf glove using the glove mount that is provided, and then you connect the device to your phone using Bluetooth. An icon will appear on the left top of the app indicating that the app and the sensor are in sync. Data from each swing will automatically appear on your tablet or smartphone screen. It will help you improve your golf swing within a very short period using advanced motion capture technology. Using this technology, you will be able to identify easily what you are doing right and what you are doing wrong. With this sensor, you will not need to enroll in any golf swing course. This will save you a lot of money and time while still making sure that your swing improves. It has a 360° swing analysis that lets you know exactly what your club and hands are doing during every swing. The Zepp sensor is currently retailing at slightly under $150 on Amazon, and perhaps most people would ask if it is worth this price tag. Comparing the cost with the value of what you get from the sensor then it is probably worth much more than its current price tag. All in all, Zepp is a useful tool that any golfer who wants to improve his or her swing must have. Morever, it will be important for the golfer to know how to interpret and implement the data they get from the device.